Here at Danby we are experts in cooling and refrigeration, and are known for our Danby refrigerators and freezers. Our refrigeration appliances are perfect for small rooms or apartments. 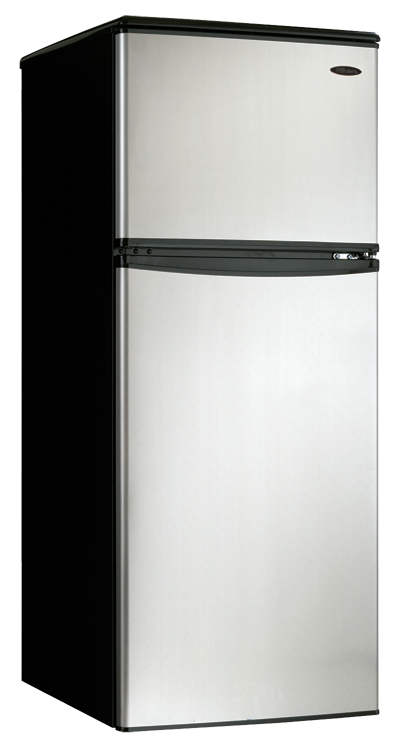 Our apartment size refrigerator is mid-size so it can fit in small kitchens or apartments. We also have a compact refrigerator, which is also known as a mini fridge. They can be used for extra refrigeration space in your home and have been used by students all over North America. Danby offers two freezers that are space saving. Depending on the size of the space, there is an upright freezer and a chest freezer. Sometimes the freezer that is built into your fridge never seems to be big enough. Danby standalone freezers are great for extra freezer space for the growing family. Browse our full-size and apartment size appliances today! Designed for the smaller kitchen spaces of apartments and condos, these mid-size refrigerators offer all the same storage options as the larger models in a more compact package. Danby is the Canadian leader in compact refrigeration. With a range of sizes and models with and without freezers, there is a Danby compact fridge to fit your lifestyle. Danby offers an unmatched variety of freezers to fit your lifestyle. Whether you need just a little extra storage space or you like to take advantage of sales and buy in bulk, there is a model perfect for you.